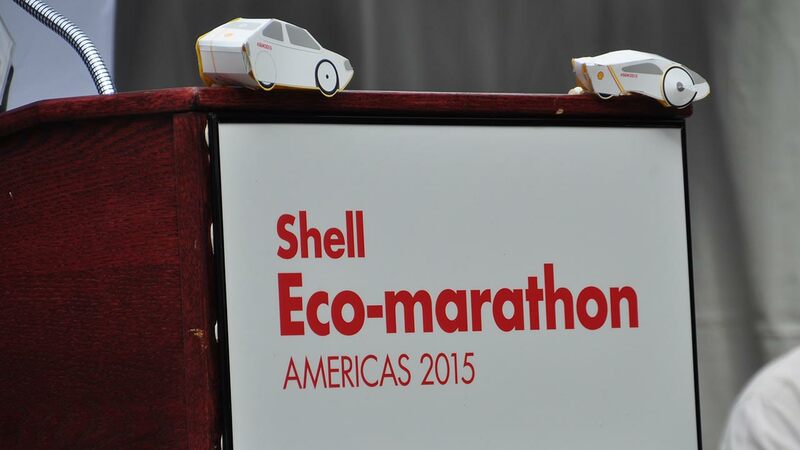 HOUSTON (KTRK) -- Students from high schools and universities from around the world are getting ready to compete in the 9th annual Shell Eco-Marathon Americas. One hundred schools plan to send 144 teams to Detroit from April 10 to 12 to compete the vehicles they've designed, built and tested over the past year. Their goal: Drive the farthest distance using the least amount of energy. On Wednesday, three of the teams from Houston unveiled their prototype vehicles they'll be taking to the Motor City. PHOTOS: Local students unveil their designs at Houston City Hall. Students representing Lamar University plan to enter the UrbanConcept category. The students are hoping their diesel powered vehicle will top 300 mpg. 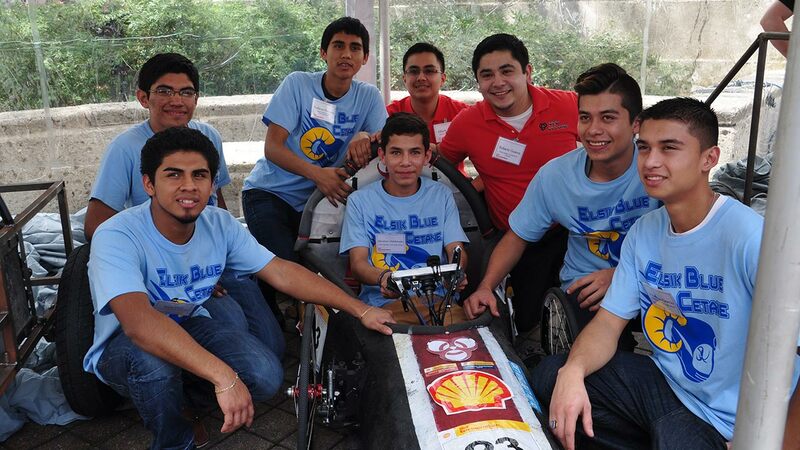 Students from Elsik High School are entering the Eco-marathon for the first time, entering in the Gas-to-Liquid category with their design. The University of Houston, which helped Elsik High with their design, is also entering its own vehicle into the competition. It's a prototype vehicle from last year that's built for both speed and efficiency while still using a gasoline powered engine. Rice University, St. John's School and Hargrave High School also have teams competing this year. Vehicles built by these young, creative minds in past years have certainly surprised engineers at Shell and other energy and automotive giants. "Just how bright, intelligent, and how creative these kids are," said Niel Golightly, Shell Vice President for External Relations in the Americas, when asked about what surprises him the most. "It is amazing what they know, how much thought they put into it and how much technology they understand." Golightly says the students put all their heart and soul into their vehicles to get incredible results. In 2013 for example, Universite Laval from Quebec, Canada designed a vehicle with an astonishing 3,587 mpg. While it is a competition, these students still know their designs could shape the automotive industry of tomorrow. "They are competing against each other. They want to win the competition. But more often than not, you'll see teams help each other out," said Golightly. "It's amazing to see that type of collaboration."